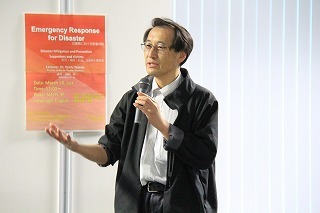 Mie University | Lecture "Emergency Response for Disaster" was held. Lecture "Emergency Response for Disaster" was held. 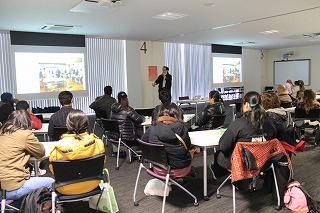 On March 18, a lecture for disaster mitigation for international mitigation "Emergency Response for Disaster" was held on the 3rd floor in the MEIPL. Assoc. 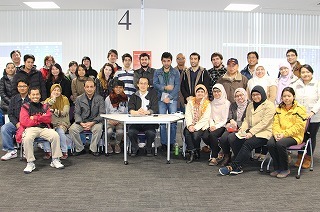 Prof. Taichi Takeda, Director of the Center for Disaster Medicine and 32 international students from 10 countries attended the lecture. He showed various photos of different places asking "What is Disaster?" and students gave opinions and comments. In addition, he talked about his own experience when he joined volunteer teams at the Great East Japan Earthquake. 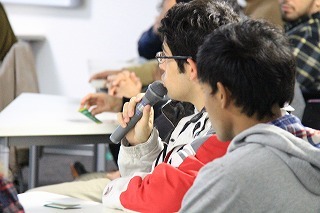 Students listened to his talking interestingly. Through this lecture, students could learn various disasters in each condition all over the world and got some knowledge about the action we should take at the disaster.